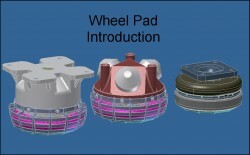 This presentation introduces some of the basic concepts, features, functions, and types of Wheel Pads developed to date. 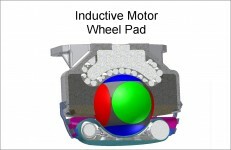 With the feasibility of Wheel Pads seeming likely, this presentation takes a look at going the next step of making them self driven by means of an inductive electrical motor. 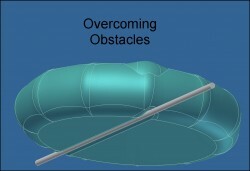 This presentation gives an idea of how a Wheel Pad Contact Pad Assembly is likely to respond when overcoming an obstacle. 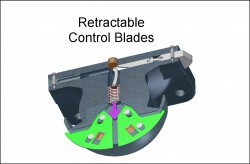 The presentation considers the feasibility of controling the direction a Wheel Pad can travel through the use of Retractable Control Blades. 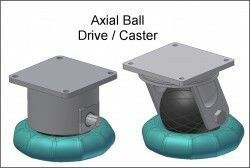 This presentation considers how Axial Balls can bridge the gap between the new technology of Wheel Pads, and the old techology of conventional wheels and casters.